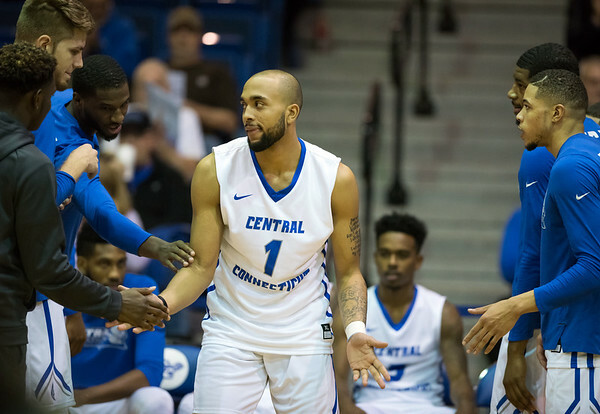 LORETTO, Pa. - The Central Connecticut State men’s basketball team almost game out with a much-needed win. Despite erasing a 16-point, second-half deficit, the Blue Devils couldn’t carry the momentum into overtime as they fell to St. Francis (PA) 77-71 Thursday night. CCSU (12-16, 5-10) has now lost six straight. Kohl led the Blue Devils with 28 points and 13 rebounds, while jAustin Nehls scored 11 points and became the 37th Blue Devil to score 1,000 career points. The teams went back-and-forth to begin the overtime period, and with 1:40 left the Red Flash’s Jamaal King made a free throw to tie it at 69-69. But from that point on, the teams couldn’t find the inside of the basket, with just one made field goal between them. King and teammate Keith Braxton made all the difference. The two combined to hit 8 of 8 free throws in the final minute of overtime to give St. Francis (15-11, 9-6) the win. King finished with a team-high 26 points and Braxton had 23 points to go with 14 rebounds. It was less than a minute into the second half when the Red Flash was able to stretch their lead to 16. A 27-6 run from the Blue Devils, however, erased that lead entirely and CCSU up by five. The lead was the same when Braxton sank two free throws and King hit his game-tying shot with 5.1 seconds left in regulation. Posted in New Britain Herald, CCSU on Thursday, 15 February 2018 22:49. Updated: Thursday, 15 February 2018 22:52.